From Cardiff, California, to Cardiff, Wales, I set off with my family recently to explore the land of my ethnic heritage. Despite several generations in America, I am undoubtedly of Welsh descent. 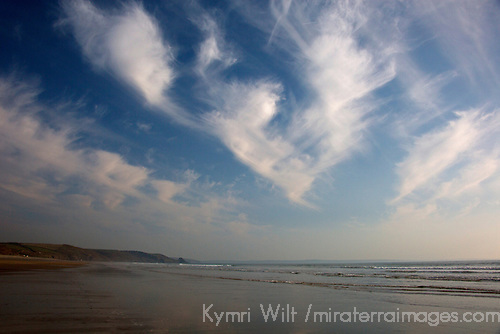 To begin with, my father gave me a first name about as Welsh as they come, Kymri. Though no more common a name in Wales than here in the US, it is a derivation of CYMRU - which is the Welsh word for Wales itself. "Cymri" is a word used to designate the Welsh people, culture, and spirit, and their passion for journeying. My parents traded the C for a K, and I cannot imagine having any other name, it is exactly right for me. Add to that my fair skin, ruddy nose and cheeks, and an appreciation for fine whiskey and cheeses, and I'll be the first to tell you that Welsh blood runs deep....as does Welsh pride. So imagine my pride as I introduced my daughter to her maternal ethnic homeland...awakening that Welshness that runs through her blood. It really helped that she and her father are big Dr. Who fans, so that was the obvious starting point for us in Cardiff - a visit to the Dr. Who Experience in Cardiff, Wales. 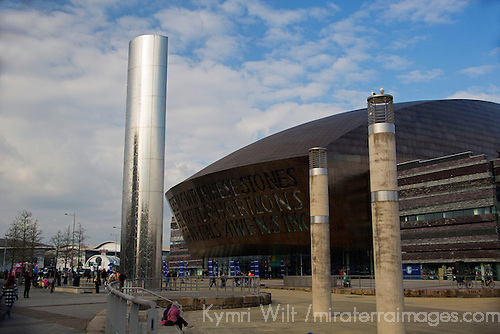 The Millenium Centre, Cardiff, Wales. Dr. Who is a time traveler, and we traveled through time on our roadtrip to the Middle Ages. 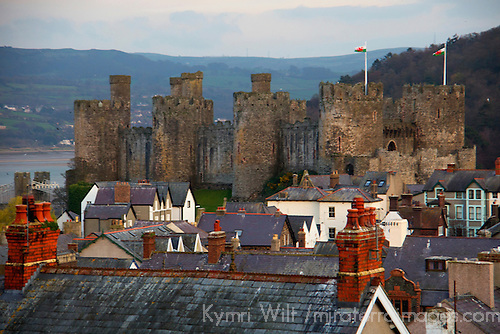 Wales is home to over 400 castles, with more castles per square mile than any other country. 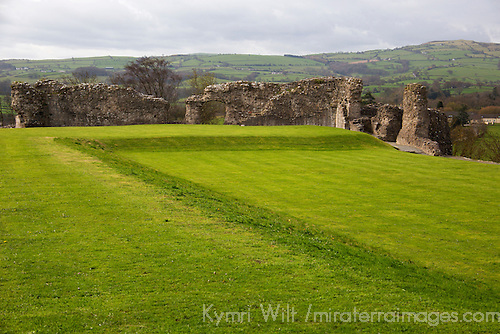 To help us plan our itinerary of conquering historic castles, we got a membership to CADW, the organization that manages over 100 castles and historic sites in Wales. 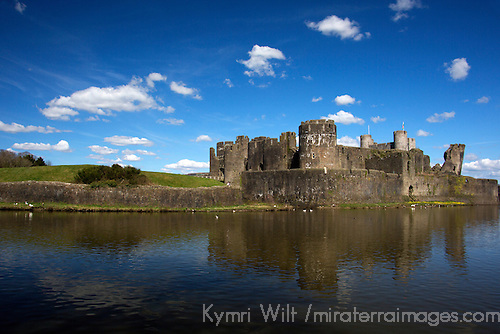 Caerphilly Castle, Wales - the largest castle in Europe. Conwy Castle view from the town walls, a UNESCO World Heritage Site in Wales. 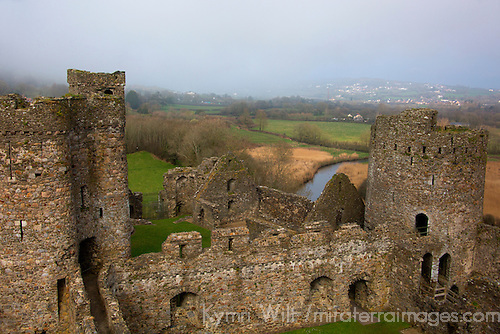 To balance out my family's fascination with exploring historic old castles, we spent a good amount of time on the coast, thus breaking up the heavy doses of history with relaxing doses of being here and now in the present. 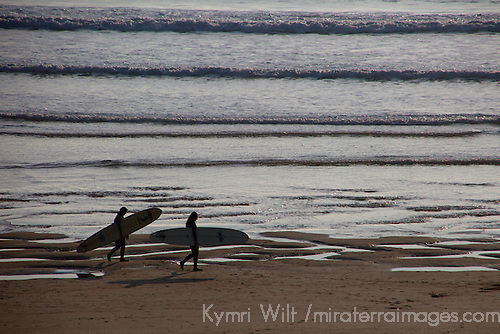 Surfers at Freshwater West Beach, Pembrokeshire, Wales. The Pembrokeshire Coast National Trail covers 186 miles of diverse and breathtaking scenery along the west coast of Wales, with long sandy beaches, serene tidal estuaries, and rugged rocky cliffs. I simply can't rave about this part of Britain enough, and I truly wonder how the Welsh manage to keep quietly humble about it - perhaps that's the secret to conserving it. 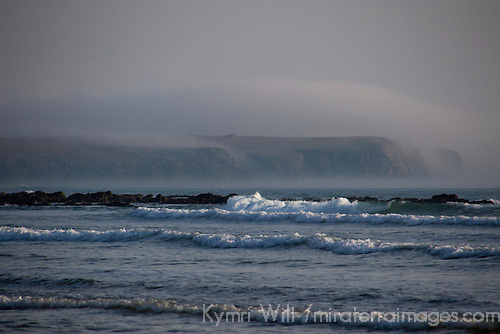 Freshwater West, Pembrokeshire National Coast, Wales. Freshwater West Beach is recognizable to any Harry Potter fan - this is where Shell Cottage stood, and where Dobby the house elf was laid to rest in the nearby dunes. 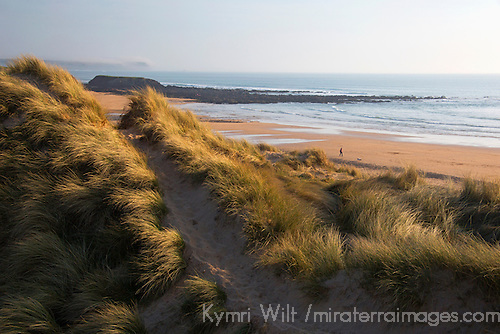 Dunes at Freshwater West, Pembrokeshire National Coast, Wales. 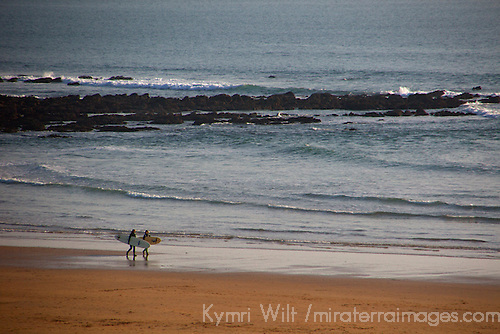 In addition to being a film location for "Robin Hood", Freshwater West also happens to be have decent surf, and is host to the Welsh National Surfing Championships. It wasn't exactly going off when we were there, but there was effort on the part of local surfers. Surfer catches wave at Freshwater West, Pembrokeshire, Wales. 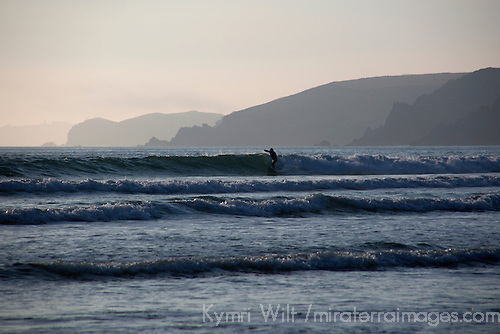 Further north along the coast, just south of St. Davids, is another favorite surf beach for the Welsh, Newgale Sands. While it was tempting to hit up the local surf rental shop, it was low tide, and I found the sky more remarkable than the waves. 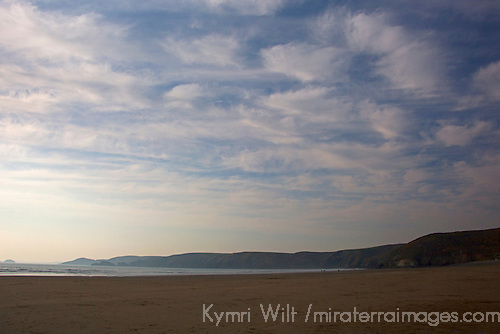 Between long stretches of sandy beach, the Pembrokeshire Coast continued to entertain us with dramatic scenery. After all, this is where the sport of "coasteering" took hold (pun intended), with good reason. Near the small town of Abereiddy sits the Blue Lagoon, where another adventurous sport, cliff diving, took flight (pun intended, again). 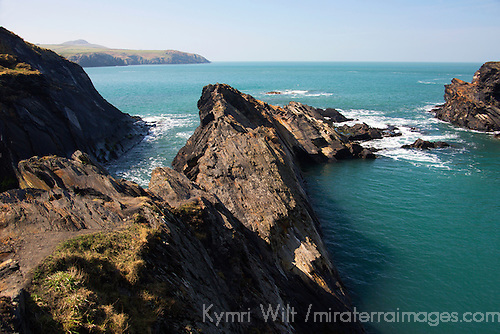 The coastline near Abereiddy, Wales, popular for coasteering. 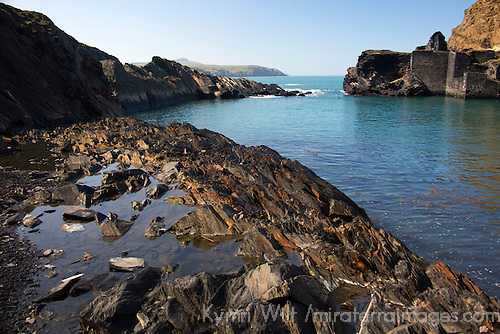 The Blue Lagoon near Abereiddy, on the Pembrokeshire Coast, Wales. We based ourselves in what is probably the heart of the Pembrokeshire Coast National Park itself, in the town of Newport. Each day we set out on a nature walk along the Newport Estuary, which never ceased to awe. 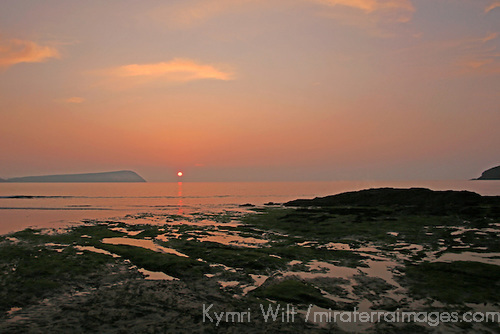 Sun setting at Newport Sands Beach, Pembrokeshire, Wales. 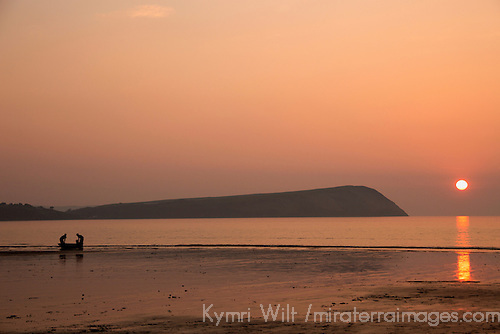 Sun setting as fishermen return, Newport Sands Beach, Pembrokeshire, Wales. As I review my photos and notes of this incredible roadtrip journey, it occurs to me that there is simply too much to share in one post. So I'm saving the second half for a second part, which I'll publish next week. 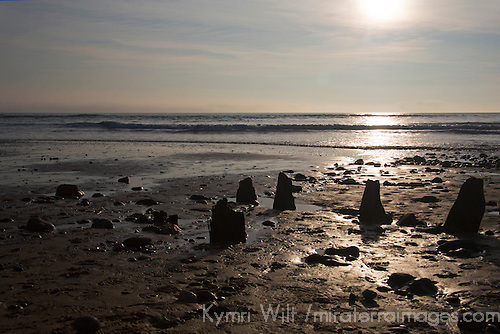 Check back for more from Wales, featuring Snowdonia and the northern coast, plus cromlechs and crosses!